Be part of the growing movement demanding justice for Appalachia! Activists being held in police custody in Bristol, VA need your support! 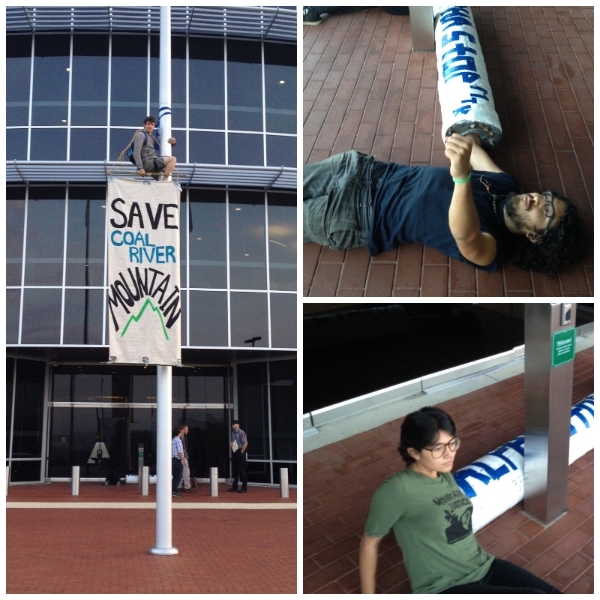 This morning, eight activists with Mountain Justice and the RAMPS Campaign were arrested during a protest of Alpha Natural Resources, at their corporate headquarters in Bristol, VA. After a two hour blockade and high-flying redecoration of a flag pole, at least five people supporting the protest were arrested, in addition to the three committing civil disobedience by blocking the corporate office. These eight people are being held by the Bristol Police, and we’re awaiting details of their condition, charges and bail amounts. We ask you to support the movement to end mountaintop removal, and to help save the few unblasted mountains left in our region, by donating to the Mountain Justice Legal Defense fund in support of today’s action. 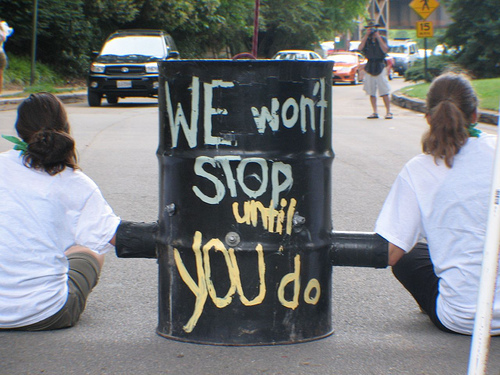 Mountain Justice has worked for 10 years to support a diversity of tactics in the effort to stop the destruction of Appalachian communities, from petition drives to non-violent direct action. The MJ Legal Defense fund has, and will continue to offer support to anyone who’s freedom is put on the line in defense of mountains. This Fund is wholly supported by individual donations from people that know that every action can move the needle a little bit, and keeps us on the path to an end of mountaintop removal.